Whats the best time of day to visit the Colosseum? To visit the Colosseum, if you had a skip-the-lines ticket, you used to be able to turn up at any time during opening hours and walk in. This has recently changed. Unlike most of Rome’s other major attractions, numbers of visitors inside the Colosseum are strictly limited – to 3,000 people within the amphitheater at any one time. In previous years this has led to long lines outside even for ticket-holders, since the automated entry/ext system only allowed new people to enter the Colosseum as other people left. In an attempt to manage this situation, the authorities that run the monument imposed a new rule in 2019 which means that now every ticket purchased, having originally been valid for any two-day period within the calendar year in which it was purchased, has to be bought to enter the Colosseum at a specific, designated time and date. This has led to a lack of availability of official tickets (don’t worry, we still have have lots available! ), since these very specific date and time-slots get bought up by tourists and tour operators weeks or even months in advance. Furthermore the Colosseum ticket office only releases tickets every three months – meaning you cannot ever book your ticket more than three months in advance. So… usually we would recommend visiting first thing in the morning for reasons of reduced demand and cooler temperatures, but the rule changes have led to these early morning time-slots selling out first. If you’re visiting when the weather warm or hot, we therefore recommend getting a time-slot towards the end of the day. Back when it was the Flavian Amphitheater the Colosseum had a canvas roof. These days it’s open to the sky, and the heat can become unbearable, so an early evening visit will be much more pleasant and cooler, with dramatic shadows as the sun sets, though you will still feel the heat radiating back at you from the stones. Note that the last entrance into the Colosseum is 1 hour before closing time. Book your Colosseum ticket as soon as you know your dates of arrival to Rome (check back if they haven’t been released yet), and build your other sightseeing around this. You could try to to the official site, find the date you are in Rome and keep clicking the numbers on the page until you get to the end of the day and see a green ‘available’ button. However due to the changes this is increasingly difficult – see screenshot. If you can’t find tickets there, buy from a reseller such as Ticketbar, which may have bought tickets more suitable to your visit. This option comes with a free audioguide. Book a group guided tour of the Colosseum that will deal with ticketing for you. Book a private guided tour that will deal with tickets for you too. 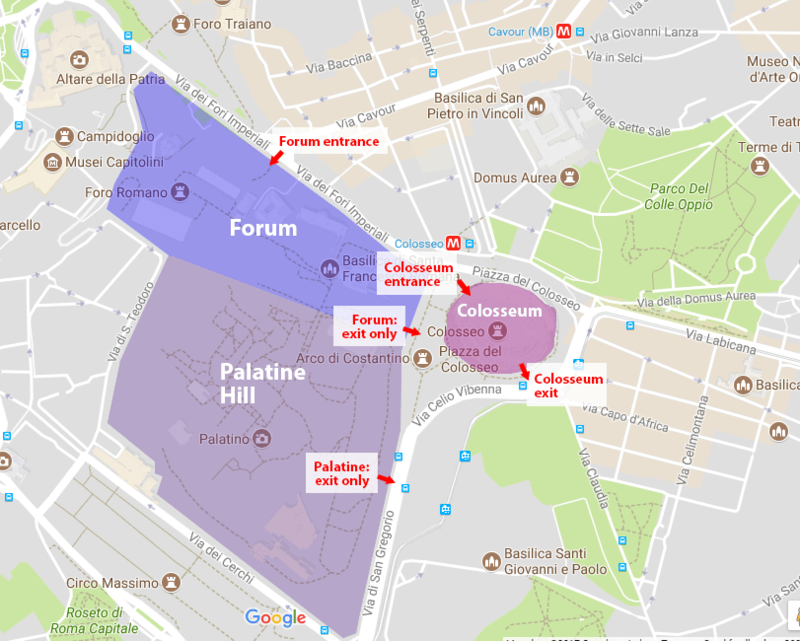 Remember that your Colosseum ticket also gets you into the Forum and Palatine and there are no such restrictions there. You can enter either the day before your time-slot or the day after, so in this case we absolutely recommend an early morning visit.